Create a fashionable look for your party table with our trio of serving plates from the Colour Block Marble Collection. 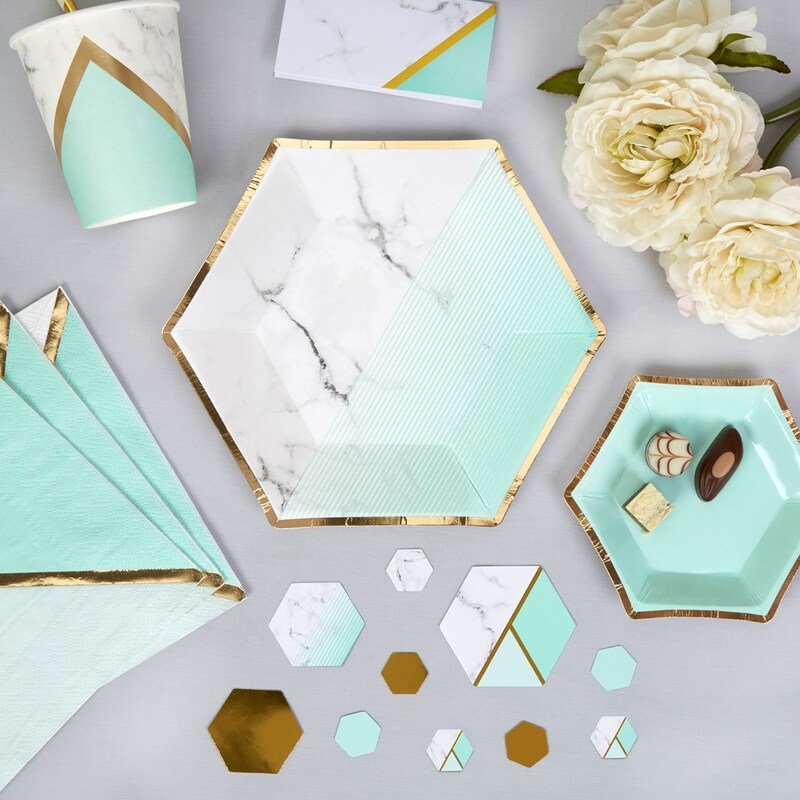 Featuring a stylish hexagonal shape, the plate blends a marble-effect design with a mint green colour to create a really unusual look for your table. Complemented by a small and large plate, the full trio offers a practical and sophisticated way to serve nibbles, canapés, crisps and more. Each pack contains 8 Medium Paper Plates, size: 200mm.